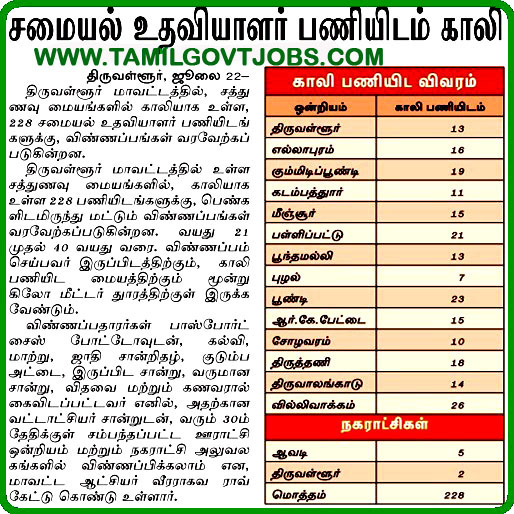 Application Forms can be available in all Panchayat Union Office, Corporation Office, Municipality Office in Thiruvallur Districts. Filled application forms can be handed over concern centers only. Candidates distance of Govt School / Anganwadi / ICDS Center and Applicant's Resident should not more than 3 kilo meters.